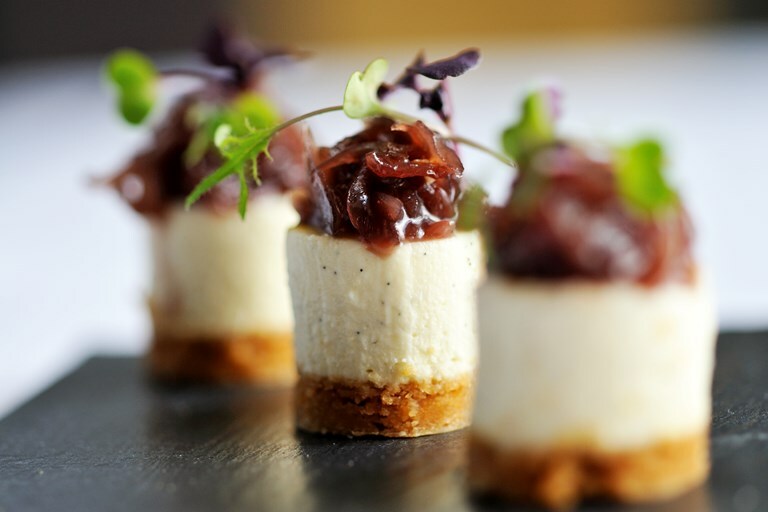 Simon Hulstone's magnificent goats' cheese canapé is served with a tangy red onion jam to get the taste buds going. 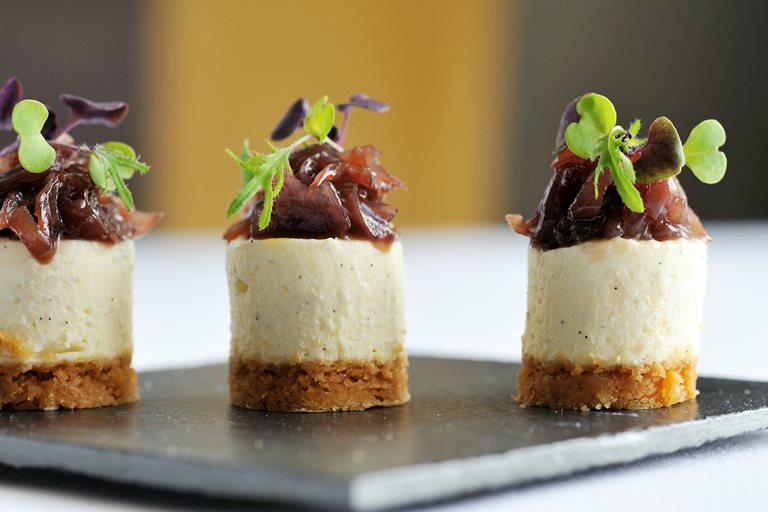 If you have never had a savoury cheesecake before, definitely give this flavoursome recipe a go. You will need a 2.5cm pastry ring cutter to stamp out the individual canapés for this recipe, or, if preferred, you can simply use a knife to cut the large tray-set cheesecake into squares, triangles, or any shape you desire.